The 8 DLC characters which will come free of cost includes Broly, Bardock, Fused Zamasu, Vegito Blue, Base Goku, Base Vegeta, Cooler, and Android 17. Earlier, they were to be purchased separately. But, they will all come included in one package with the Deluxe Edition. It is a good news for the gamers and especially fans. 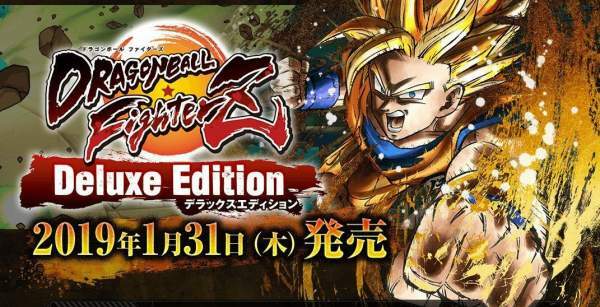 As of now, the plans of the Dragon Ball FighterZ Deluxe Edition is limited to the Japanese market only. It will be available for other regions at a later stage. However, there has no official announcement for the same yet. So, we have nothing other than waiting for Bandai to release it for the western region also. Earlier in 2018, DragonBall FighterZ game was released in Europe and Americas on January 26 for PC via Stream, PS4, and Xbox One. Later on, it was released in Japan on February 1, 2018 for Xbox One and PS4. So far, the game has sold 2.5 million copies worldwide. On September 27 and September 28, the Nintendo Switch version of the game was launched in Japan, and Americas & Europe respectively. A trailer for the Deluxe Edition was unveiled a few days ago. It is going to be a download only release. The new fighting stage is named as the Galactic Arena and appears to be a better version of a tournament of power stage. In this setting, various audience members can watch the ongoing fight. So, it feels like a gladiator. The new levels for Ranked Match are titles that shows the game level of players. The title includes SS Blue (Evolved), Pride Trooper, Super Saiyan Rose, Ultra Instinct -Sign-, and even Zen-Oh among others. Stay tuned to The Tribune Voice for more updates. Next articleOne Piece Chapter 929 Release Date & Spoilers: Who is Zoro’s new friend?